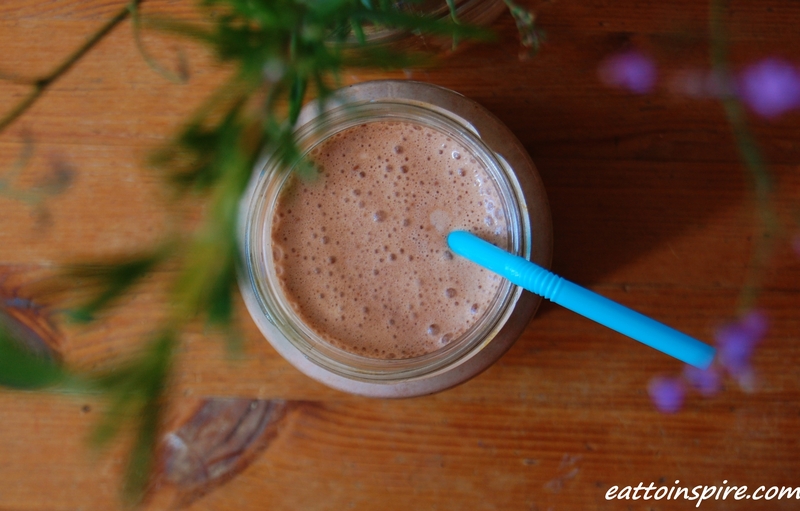 I was recently watching an Eco Vegan Gal ‘What I eat in a day video’ and I was super inspired by her carob smoothie. However, as you may be aware, I am quite a fan of chocolate. Don’t get me wrong I adore carob. I could chew on carob pods all day long. Carob is so delicious in its own right, however, I am so not a fan of carob is pretending to be chocolate. Eww. Just give me the chocolate! 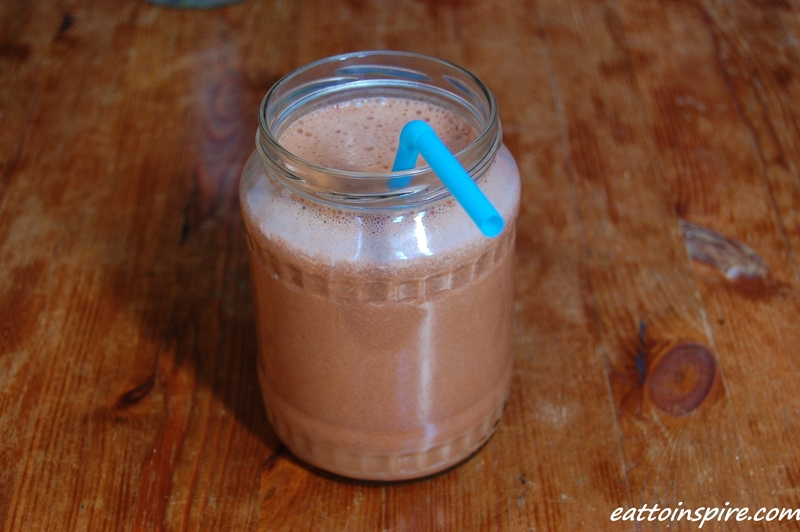 So I made this super easy and very delicious chocolate mylkshake. You should give it a go it is so delicious and a great snack for gals on the go. My lovely housemate said it tasted like ice cream. Oh yeah. 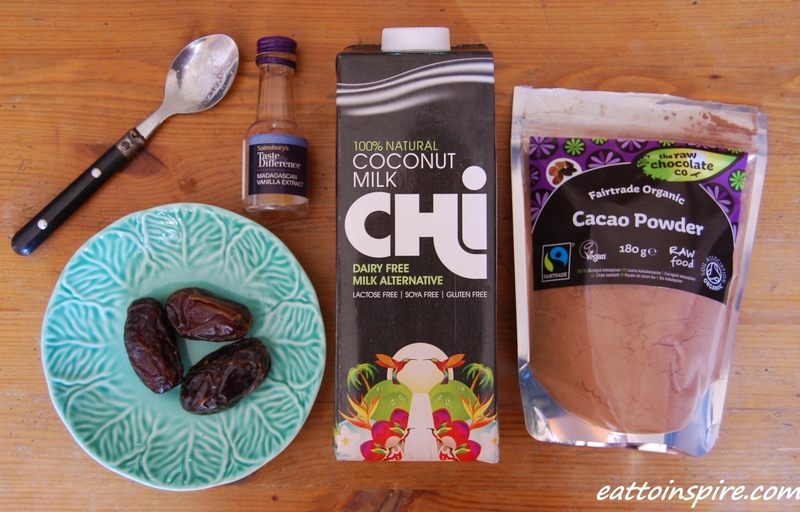 I think this would also be great with strawberries instead of cocoa powder, different milks such as almond or hemp… any other ideas?! I’m so glad the video inspired you! I’m living vicariously through you during my (mostly) chocolate-free time. But trust me, the drink is still really good with carob – try it sometime! Amazing! I bet that was so good! I shall try that next time. I bet frozen banana would be good in it too mmm,..!